Do you want information about purchasing a Hoveround Power Wheelchair or Mobility Scooter? Do you need tech support or service for your mobility vehicle? Do you have questions about your account? There’s no need to search for the right company or number to call — because for Hoveround customers, it’s a one-stop shop. From manufacturing to sales, to service down the road, we do it all. There’s a reason Hoveround is America’s Favorite Power Chair. Our call center is ready to answer your questions and address your concerns. Read on to learn more. It can be frustrating to have to call around to different places looking for help. But when you buy a Hoveround, there’s ONE number to call. We’ve incorporated our “Model of Total Responsibility.” What does this mean? It means you won’t be bounced around to third parties, and you won’t be left to navigate the insurance process on your own. Since Hoveround builds, delivers and services its products (the only company in the industry to do so), you call just one number and we will take care of the rest! Our cutting-edge phone systems will automatically route you to the appropriate specialists when you call. So if we’re waiting on paperwork from your doctor, you will automatically be routed to the team working with your doctor’s office. Or if you’ve already received your Hoveround Power Wheelchair, your call will be routed automatically to our technical support team so there’s no need to be transferred or on hold for additional time. Your calls are important to us, and we want to make sure your needs are always handled by the right person. With our sophisticated call routing, you’ll always be able to talk to the right person for your needs, with no effort and no wasted time. We know your day is busy, and you probably don’t have the time to wait on hold if we are experiencing unusually high call volumes. That’s why we’ve created “Virtual Hold.” If hold times are longer than normal, don’t hang up only to call back later — you might end up on hold again. Simply press 2 when prompted and you’ll be placed on virtual hold. Save your place in line, virtually, and continue along with your day. WE will call YOU back, in the order that your call was received. Pretty nifty! We know that getting transferred to talk to another person can be frustrating at times, but it means getting the best service and information possible in one phone call. We try to avoid transferring a customer whenever possible, but sometimes it helps for you to talk directly to another one of our staff members. We have RNs, ATPs, certified technicians and other experts on staff that will be able to help you navigate through the complex insurance process, service needs, or other concerns. 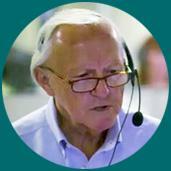 Our goal is to provide you with the most knowledgeable person on every call. So go ahead and give Hoveround a call today (because yes, Hoveround IS different than other power wheelchairs!). Talk to our Mobility Specialists at (800) 542-7236 and you can be on your way to regaining your independence with a Hoveround Power Wheelchair or Mobility Scooter!